Lennar Homes is building a spectacular community of new homes in Conway called Ridge Pointe, next to Burning Bridge Golf Course and near the Conway Medical Center. 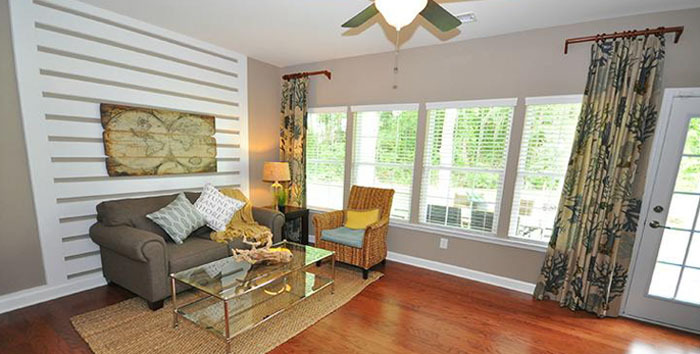 Well-known for building energy efficient, quality homes, Lennar is one of the Grand Strand’s most popular builders. As a typical Lennar neighborhood, Ridge Pointe brings elegant luxury to home buyers at reasonable prices. 5 spacious floor plans are offered, with abundant upgrades like trey ceilings in master bedrooms, hardwood flooring, luxurious Mohawk carpeting, 9 ft. or vaulted ceilings, crown molding, glass fireplaces, electric garage doors and plantation shutters. These homes also feature patios and/or covered porches. Low HOA fees cover grounds maintenance and trash pick-up. Community amenities include golf at Burning Ridge Golf Course, a pool, playground, covered pavilion and picnic area. With Conway and Myrtle Beach conveniently close residents enjoy small town ambiance and the excitement of the Grand Strand at the same time. To learn more about this beautiful community and other Myrtle Beach new homes visit our website. Give our real estate professionals a call to schedule a tour of the new homes in Ridge Point.